When we moved out of the city and into our new home, we increased our window inventory more than three-fold. 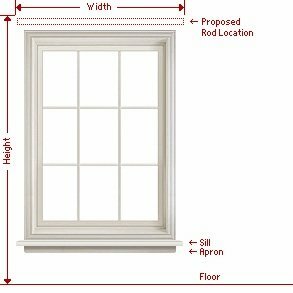 The windows we have are big and beautiful, but complicating matters is the fact they are custom sizes. The thought of having a professional come to measure, order, and install window treatments made our wallets run for cover. Don’t get me wrong. Measuring and installation services are very well worth the money you pay, especially if you have a lot of windows. But if you don’t have a lot of money to spare, this is a job you can do yourself so long as you prepare properly and pay attention to detail. You will most likely need most or all of the following: a drill, screwdriver, anchors, level, measuring tape, and a ladder or step stool. (Optional is a friend for extra hands and moral support.) Have everything at your side, so you won’t get distracted in the middle of the installation process. It’s not rocket science, but it’s best to keep your concentration. Open your box of window treatments carefully (do not use a razor blade or utility knife to avoid damaging them) and lay everything out to make sure you have all the pieces you need. It’s so exciting, you’ll want to dive right in, but resist the temptation and first things first, read through all of the installation instructions. They are generally not very long, and sometimes the order in which you do things makes a big difference. Employ your measuring tape and level here. And definitely use a ladder or step stool for assistance. There is no need to strain—you want to see everything clearly. 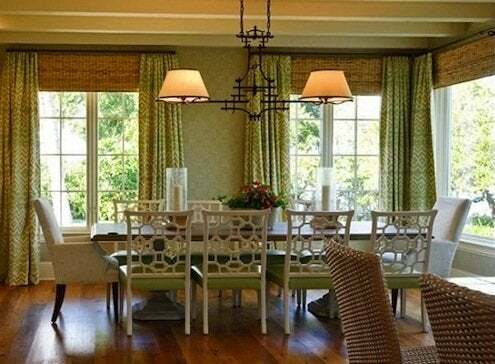 Make sure your shade or treatment is centered with the window or window frame. Most brackets and hardware from online vendors come with pre-drilled holes. Use those when measuring, and before drilling, mark the holes with a pencil. If you are not drilling into a stud, then get the appropriate type of anchor for your wall type, rated for the weight of your window treatments. You may be tugging and pulling on these treatments several times a day, so you want to make sure the fasteners can handle the stress. The customer service staff at the vendor can help you if you have questions. They have talked people through all of this before. Do not hesitate to reach out for their expertise! If you have the time and fortitude to spare on a weekend to install window treatments yourself, you can save a boatload of money. And you’ll have the grand satisfaction and rewarding confidence that comes from knowing you are a totally capable DIYer. Once you’ve mastered hanging window treatments, you can move on to hanging cabinets! The sky’s the limit.